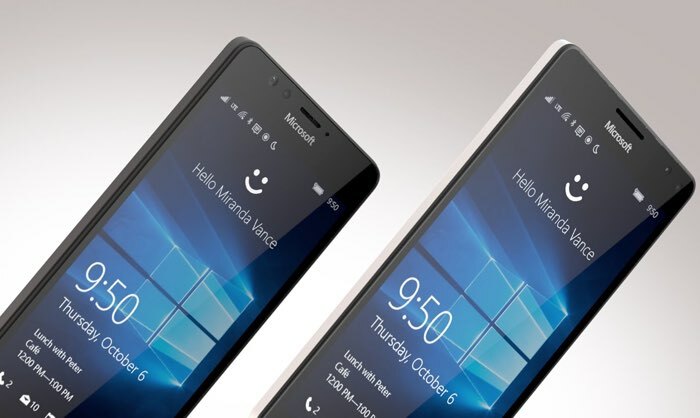 The new Microsoft Lumia 950 smartphone is now available for £410 from Amazon in the UK, this is for the unlocked handset without a contract it was previously available for £420. The larger Microsoft Lumia 950XL is also available from Amazon UK, this device retails for £450, both of these prices are lower than direct from the Microsoft Store. As a reminder the Lumia 950 comes with a 5.2 inch Quad HD display that has a resolution of 2560 x 1440 pixels, the handset features a hexa core Snapdragon 808 processor. Other specifications on the device include 3GB of RAM and 32GB of built in storage, there is also a microSD card slot for expansion. The device features Windows 10 and it comes with front and rear facing cameras, on the back of the handset there is a 20 megapixel camera and on the front of the device there is a 5 megapixel camera for selfies.